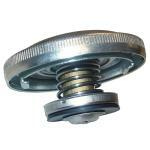 Pre Cleaner Bowl For Allis Chalmers: 190XT, D21, 170, 175, 180, 185, 190, 200, 210, 220, 6060, 6070, 6080, 7000, 7010, 7020, 7030, 7040, 7045, 7050, 7060. 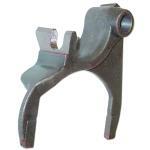 3rd And 4th Gear Shift Fork For Allis Chalmers: 190XT, 190, 180, 185, 200. 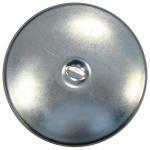 Fuel Cap With Gasket For Allis Chalmers: 190XT, D21, 190, 200, 210, 220, 7000, 7010, 7020, 7030, 7040, 7045, 7050, 7060, 7080, 7580, 8550. 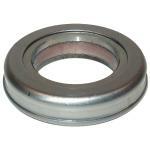 Throw Out Bearing For Allis Chalmers: 190XT, B, C, CA, D10, D12, D14, D15, D17, D19, 180, 185, 190, 200. 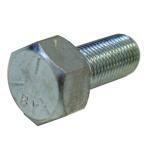 Front Wheel Lug Bolt For Allis Chalmers: 190XT, B, C, CA, D10, D12, D14, D15, D17, D19, D21, I40, I400, I60, RC, WC, WD, WD45, 160, 170, 175, 180, 185, 190, 200, 6060, 6070, 6080, 7000. 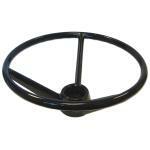 Deep Dish Steering Wheel For Allis Chalmers: 190XT, 170, 175, 180, 185, 190, 200, 210, 220, 545, 7030, 7040, 7050. 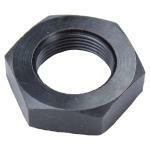 Steering Wheel Nut 13/16"-20 NEF For Allis Chalmers: 190XT, 4W220, 4W305, D10, D12, D14 (SN: 19001 & Up), D15, D17, D19, D21, WF, 170, 175, 180, 185, 190, 200, 210, 220, 6060, 6070, 6080, 7000, 7010, 7020, 7030, 7040, 7045, 7050, 7060, 7080, 7580, 8010. 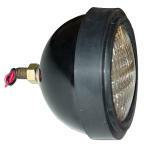 Black Cab Headliner Kit For Allis Chalmers: 170, 175, 180, 185, 190, 200, 210, 220FWA, 220. New Seat Shock For Allis Chalmers: 170, 175, 180, 185, 190XT, 190XT III, D10, D12, D14, D15, D17, D17, Series IV, D19, D21, WD, WD45, 190, 200, 210, 220, 220FWA, 7000, 7010, 7020, 7030, 7040, 7045, 7050, 7060, 7080, 7580. 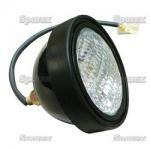 12 Volt Sealed Beam Headlight For Allis Chalmers: 190XT, 170, 175, 180, 185, 190, 200, 6040, 6060, 6080, 7000, 7010, 7020, 7030, 7040, 7045, 7050, 7060, 7080. 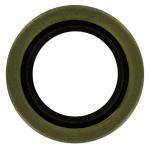 12" Reman Pressure Plate For Allis Chalmers: 190XT, 190XT III, 200. 6"X16" 6 Lug Front Wheel For Allis Chalmers: 190XT, 160, 170, 175, 180, 185, 190, 200, 6060, 6070, 6080, 7000, D19, I60, I600, D17. Front Grille For Allis Chalmers: 180, 185, 190, 190XT, 200. 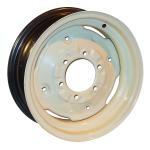 12" Reman Clutch Kit For Allis Chalmers: 190XT, 190XT III, 200. 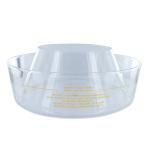 Head Light Without Anti Glare Gaurd For Allis Chalmer: 170, 175, 180, 185, 190, 190xt, 200, 210, 220, 6040, 6060, 6070, 6080, 7000, 7010, 7020, 7030, 7040, 7045, 7050, 7060, 7080. 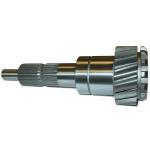 Transmission Input Shaft For Allis Chalmers: 190XT, 180, 0185, 190, 200.